The EVGA 450BR Power Supplies are here. Designed with both beginner and enthusiast needs in mind, EVGA power supplies are the best choice to power next generation computers. 80 PLUS BRONZE Certified. EVGA SuperNova G2 750w CPU/VGA/Sata/Parif CABLES and Detection Tool. Shipped with USPS Priority Mail. *FREE UPGRADE TO 775W*SAME DAY FREE PRIORITY SHIP! 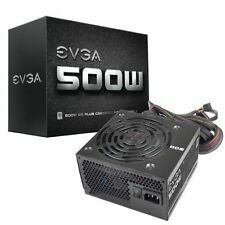 EVGA 450 BT 80 Bronze 450W Power Supply (100-BT-0450-K1). Condition is Used. Shipped with USPS Priority Mail. OUTPUT POWER 825W. If you prefer you may also feel free to recycle such materials to any local R2 or e-Stewards certified recycler. Product working perfectly. No original box. Cables included. Trending at $78.75eBay determines this price through a machine learned model of the product's sale prices within the last 90 days. 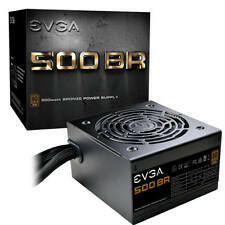 The EVGA 500BR Power Supplies are here. Designed with both beginner and enthusiast needs in mind, EVGA power supplies are the best choice to power next generation computers. 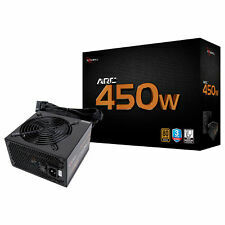 Output Power: 500 W. General Information. ￭ 100% modular. ￭ Class-leading single 12V rail with 60A (peak 66A). ￭ Efficiency 85%~88% at 20%~100% loading. Not all Cables included. Tested and 100% Functional. May show slight signs of use. 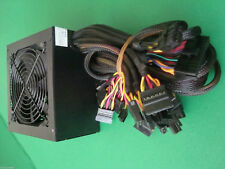 Cables: (1x 24pin, 1x 8pin CPU, 1x 6 2 PIN PCIe, 1x Peripherals 8pin cable to 2x Molex 4pin, 1x Peripherals 8pin cable to 3x SATA Power, 1x Peripherals 8pin cable to 1x SATA Power). PCI -E (6 2). - SATA Connectors Works great. Low price. Item as described. Works great! 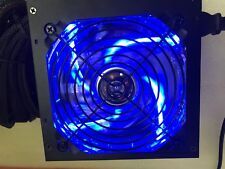 - Mother Board Connector - Internal 140mm ball-bearing fan. Connector: 1x 20 4-pin Main Connector; 1xP4 Mainboard Power Connector; 2x 15-pin SATA Connectors; 4x Peripheral Connectors; 1x 4-pin Floppy Connector. Total Power: 400 W. Single 12V output design. 350W Input: 115V-230V 60/50hz 10-6A. - Mother Board Connector Form Factor - SATA Connectors - CPU Connector. EVGA 1300 G2 - "Unrivaled Performance". 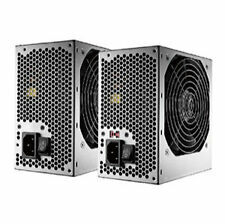 Output Power 1300 W. Modular Yes. 80 PLUS Gold certified, with up to 90% efficiency under typical loads. Product Key Features. Product Information. Excellent Condition - Looks and Runs Like New. Manufacturer Seasonic. Otherwise, an unpaid item case will automatically be opened. Varies by location. 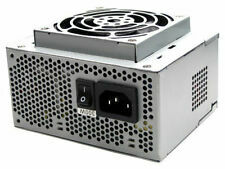 Enhance Flex 600W power supply ENP-7660B, NEW, 1-year warranty. Rated Output Power: 1600W(Max). Fit For: S9(12.5T/13T/13.5T) S7 L3 D3 Ant Series Mining Machine. Input Characteristic. Output Characteristic. Load Regulation: ≤±2%. Heat Dissipation Mode: Air Blast Cooling. Trending at $56.58eBay determines this price through a machine learned model of the product's sale prices within the last 90 days. 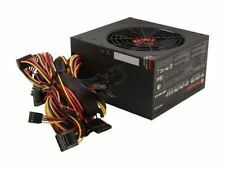 You try your best to take care of your heart, and thus show similar diligence when it comes to the heart of your computer, the desktop power supply. Often neglected, it provides the electrical energy that operates important desktop components such as the processor, motherboard, memory modules, and hard drives. When you purchase a one from a brand name, such as a Dell desktop power supply or Gateway desktop power supply, you will receive high performance from a unit that possesses long-lasting durability. Top manufacturers construct the shells of their power supplies with heat- and moisture-treated metal that does not bend or corrode. 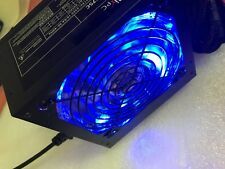 It can get warm inside the central processing unit, and the power supply cannot afford to succumb to heat generated by the other components. 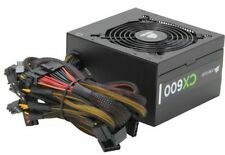 Large, heavier power supplies tend to provide more energy due to bigger and faster capacitors, chokes, and other internal desktop parts. 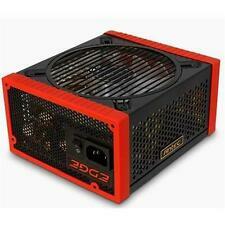 Get to the heart of the matter by ordering a new desktop power supply from the reliable sellers on eBay.